Oldsmobile Forum: Oldsmobileforums.com Car of Month???? View Poll Results: Car of the Month? 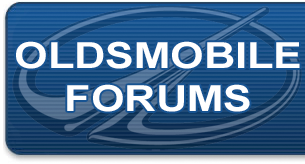 Should Oldsmobileforums.com have one? Does anyone think that this would be a good idea? Submissions would be required to include good quality pictures and a write up about your car. Write up can include it's history with you and/or mod list, etc. Please vote in the poll as to if you think this would be a good feature to add. I don't ever see the front page, however. I have the forum bookmarked, to save that extra click. If others do the same thing (and I bet they do), the COTM will not be seen by most. Maybe just create a sticky announcing the current car of the month in one of the general chat forums, either as a stand-alone writeup, or with a link to whatever page the COTM might be placed on. I have feeling that there won't be enough interest to do this feature properly. Sure there is. Once word gets out, people will be all over it. Not everyone reads the suggestion forum. Besides, when people get sick of the same car being COTM for 6 months in a row, they'll have to submit theirs. The problem well not a problem is that I own 2 Oldsmobile's. 1937 2 door Touring Sedan and 2001 Bravada.....which to choose I love them both. I think there would be a lot of interest in this. Sounds like guys have multiple Olds also.